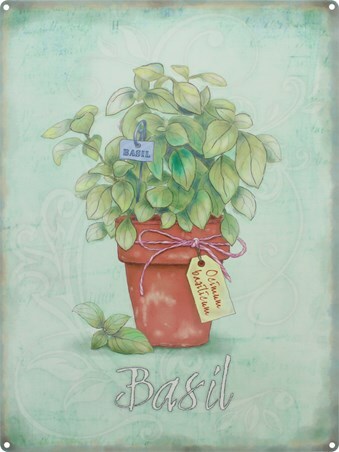 Food Tin Sign: Basil is a culinary herb which is prominently featured in Italian cuisine, and also plays a major role in Southeast Asian cuisines of Indonesia, Thailand, Vietnam and Cambodia. 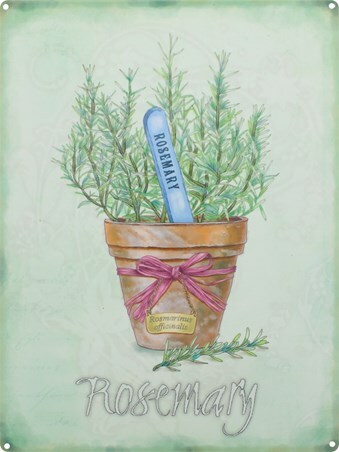 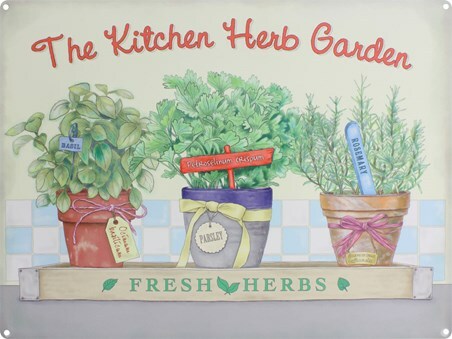 If you love cooking at home and find that herbs give food that extra depth then this beautiful vintage tin sign will give your kitchen that extra finishing touch. 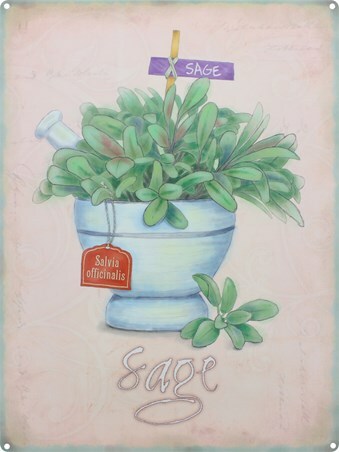 The faded green background is sure to compliment any room where it is hung and will add some much-needed colour and charm. 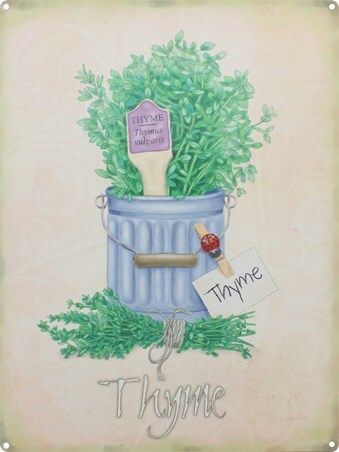 High quality, framed Basil, Home Cooking tin sign with a bespoke frame by our custom framing service.